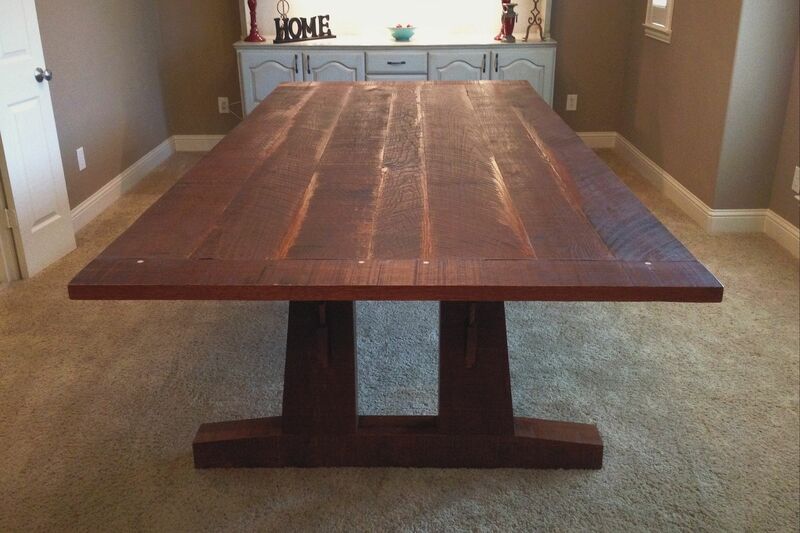 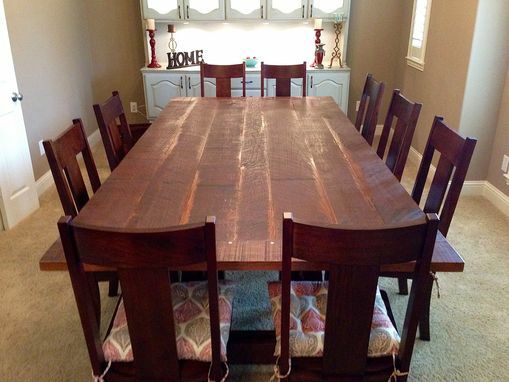 This solid, white oak dining table is 10'x5' and has a trestle style base. 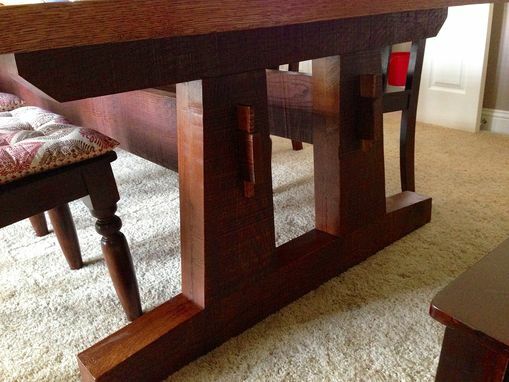 The base attaches via mortise and tenon joinery and breaks down for easier transport. 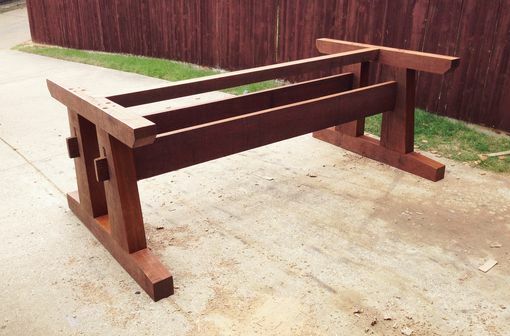 The table was stained and finished with an oil based finish.